The Missouri version of a radio ad that suggests Democratic victories in midterm elections endanger African-American men and boys does not refer to lynchings as an ad in Arkansas does. The Black Americans for the President's Agenda political action committee is running the radio ads in support of Republican U.S. Rep. French Hill of Arkansas and Republican U.S. Senate candidate Josh Hawley in Missouri. The Arkansas ad suggests that "white Democrats will be lynching black folk again." 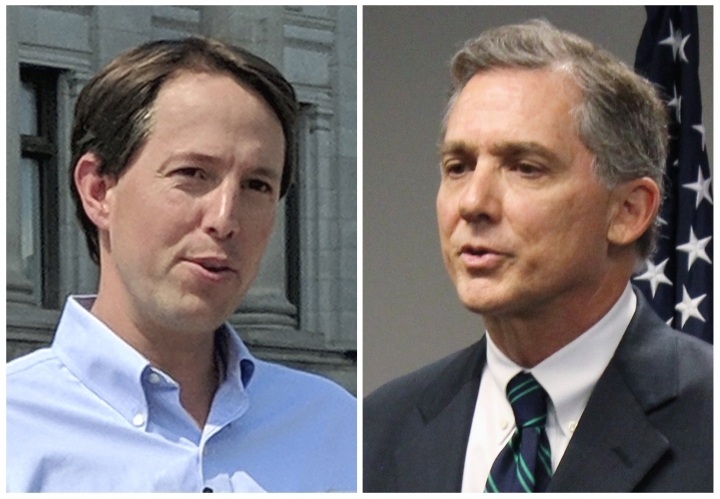 Arkansas Republicans filed a state ethics complaint and Hill and his Democratic challenger denounced the ad. But in Missouri, the ad against Democratic Sen. Claire McCaskill features a woman saying "black folk will be catching hell again." Neither the Hawley nor McCaskill campaigns immediately responded to email messages Friday seeking comment. Arkansas Republicans have filed an ethics complaint against a political action committee that's running a radio ad suggesting white Democrats will lynch African-Americans if they win in midterm elections next month. The state GOP on Friday filed a complaint against Black Americans for the President's Agenda, which is running the radio ad in support of Republican U.S. Rep. French Hill. Hill and his Democratic challenger have condemned the ad, but the PAC said earlier Friday it won't pull the spot. The complaint says the group failed to register to campaign in the state and that the ads are running illegally. Vernon Robinson with the PAC said he planned to talk with the Ethics Commission's staff before determining the next step. A political action committee says it's not pulling a widely condemned radio ad that suggests white Democrats will lynch African-Americans if they win in midterm elections in Arkansas next month. Vernon Robinson with Black Americans for the President's Agenda said Friday that the group won't cancel the radio ad running in the Little Rock area in support of Republican U.S. Rep. French Hill. He said the group also won't pull a similar ad he says is airing in Missouri. Hill and his Democratic challenger have condemned the Arkansas ad in which a woman says "white Democrats will be lynching black folk again." Robinson says that ad is scheduled to run through Friday and that it is part of a $50,000 buy.